All vehicles with approved credit plus tax, tag, title, license, doc, dealer and additional fees. See dealer for full terms of agreements, restrictions may apply. Dealer is not responsible for typos, availability subject to change. All offers expire 12/31/15. Ram 1500 Quad Cab: Stk#D6503. Sale Price: $36,000 after rebates and dealer discounts. Ram 1500 Crew Cab: Stk#D6598 Sale Price: $46,485 after rebates and dealer discounts. Ram 3500: Stk#D6510 Sale Price: $61,500 after rebates and dealer discounts. 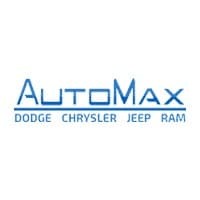 AutoMax Dodge Chrysler Jeep Ram	35.3719097, -96.9109748.